Used carefully, e-mail campaigns can easily drive targeted traffic to your affiliate marketing site. This can be done by providing highly relevant and valuable information on the body of the message and then offering a link that will bring the recipients into your site. You can do this two ways: one is by providing the full content in the e-mail message and then offering a link inviting the recipient to view more similar write-ups on your site. Another is by giving only a portion of the content and offering the rest on the affiliate site. A linked e-mail signature should also be included. Informative and how-to articles, especially well-written ones, are proven traffic baits for affiliate marketing sites. Include links to similar or additional information within the content body that can only be read from your site and provide additional links on your signature. People love information, particularly those about subjects they are curious about or are involved in – which explains why targeted methods to drive traffic to affiliate marketing sites work best. Offer e-newsletter and e-zine subscriptions, making sure that links bring recipients to your site. Use a separate landing page to handle the subscription process for your visitors’ convenience. Other than your affiliate marketing site, use a blog to get in touch with prospective customers and members. Blogs are considerably more personal and lighter in tone than most affiliate business sites and they can be a great source of information, news, advice and tips from you to your prospects. 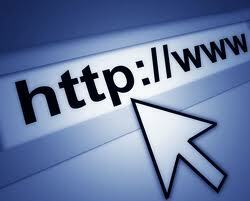 Include a link from your blog to your affiliate marketing site. These sites are a rich source of targeted traffic that you can drive to your affiliate marketing site. Your market demographics are also easier to define so sending out invitations to potential leads and members is a lot easier. By leaving useful and thought-provoking comments on discussion boards and forums, you encourage other members to react and send you a reply. You’ll be able to build a networking relationship from here. Make sure to sign with a link back to your affiliate marketing site. You could drive another blog’s captured traffic to your affiliate site by becoming a guest blogger. If you can write well and can offer unique and useful content, the site’s readership will find you interesting enough to follow you to your own site. If you have content, you can drive traffic to your affiliate marketing site by allowing your readers to bookmark certain pages. This will help promote those pages and your website to other people who might be interested in the same subjects. Locate your target market and then promote a contest through ads or e-mails. All details must be found on your affiliate marketing website so you can drive traffic there. Registration must also be performed on one of your landing pages. Just make sure to offer prizes that visitors who will be coming in will find useful. There’s nothing like a nice gift to drive targeted traffic to your affiliate marketing site. It’s easy to implement and can be relatively cheap. Furthermore, you offer these visitors an incentive to sign up for whatever campaign it is you’re promoting.